Even before I sat down for brunch at Hardware Société, my interest was piqued by the long line of people hoping to be seated. It was barely 10am. Maybe it's the Adelaide in me, but whenever I see these long queues for brunch in Melbourne, I'm intrigued. 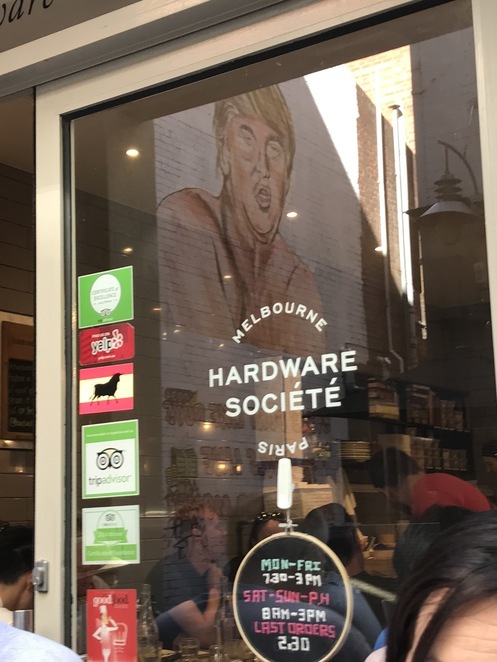 You obviously can't go wrong opening a cafe in Melbourne. I felt like somewhat of a VIP, not having to wait in line as we already had a table. I quickly absorbed the quintessential ambience and prepared for a morning in Paris. Their French-inspired menu lists each item in both English and French. I kicked off with a dirty chai that was more dirty than chai, which was what I needed that morning. Their food was really fresh and the portions were large, way more than I expected. The wait staff were fast and attentive. I had the pork belly & fried eggs and could not finish my meal - it was huge, delicious and filling. The only thing I didn't like about the meal was the hollandaise sauce liberally splashed over the potato & bacon hash - I'm more of a sauce-on-the-side kind of girl. Let me determine what size my dollop will be, mkay? The lobster benedict was really delicious as well - I stole a bite and will definitely order that the next time I go to Hardware Société. My only regret and I hope every reader will learn from my mistake - is that I didn't order a croissant for myself too. When I tell you it was all degrees of perfection, and exactly what I imagine a Parisian croissant to be. Layer upon layer of melt-in-your-mouth buttery goodness. So soft, so fresh... okay I'm going back there just for the croissant. 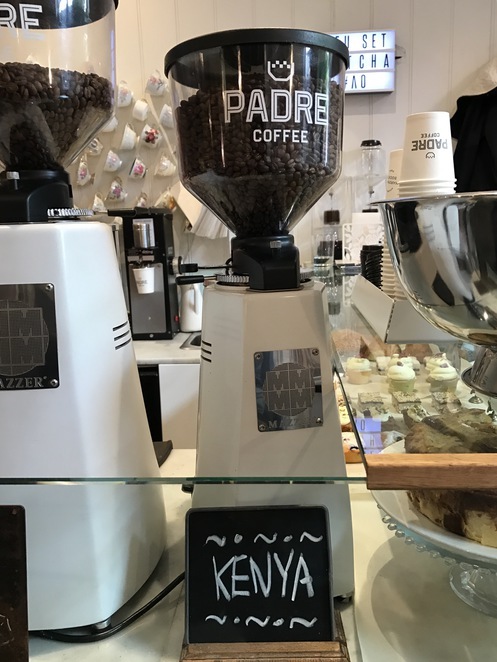 If you judge a place by its coffee, know that if it's Kenyan, it's great! Definitely going back here, I can see what all the fuss was about!